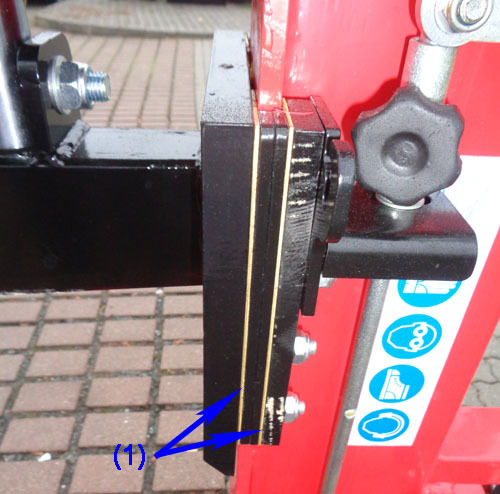 A reliable wood splitter for wood lengths from 0 cm to 1,04 m with a splitting pressure of 10 tons and short term up to 13 tons. 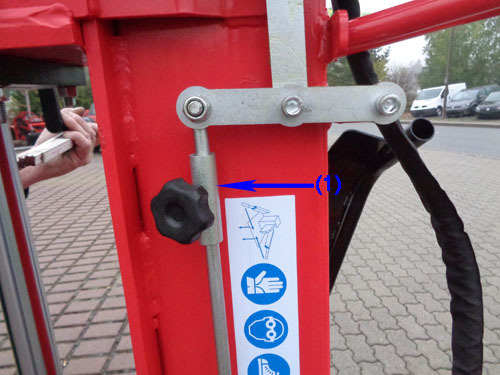 It is suitable for tractors from 10PS. The solid frame is painted torsion and impact resistant. The table is rock solid and stable. Parts are easy to obtain in each case. 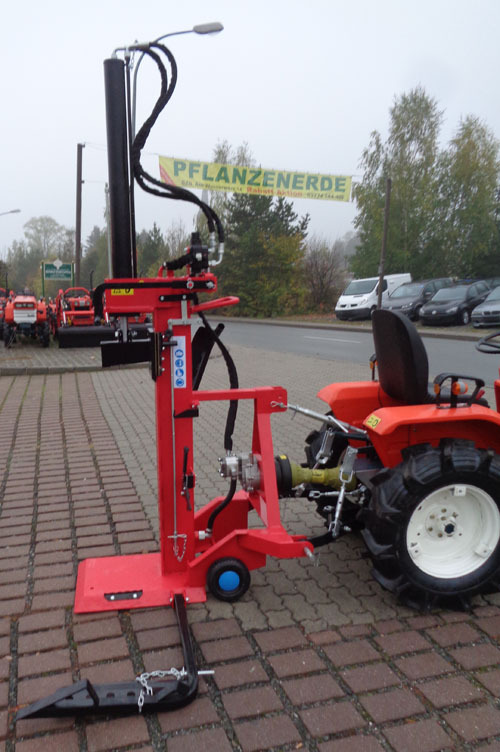 We sell these log splitters 5 years. 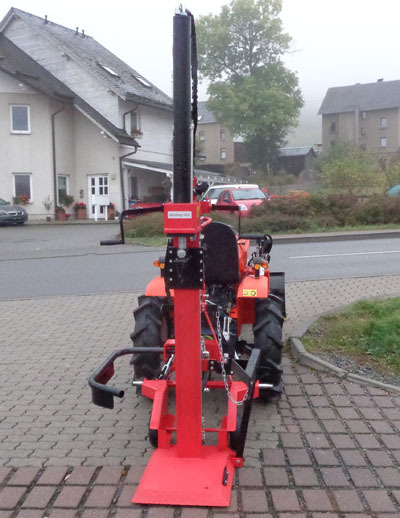 The log splitter is delivered on a pallet. There the arms have to be attached. 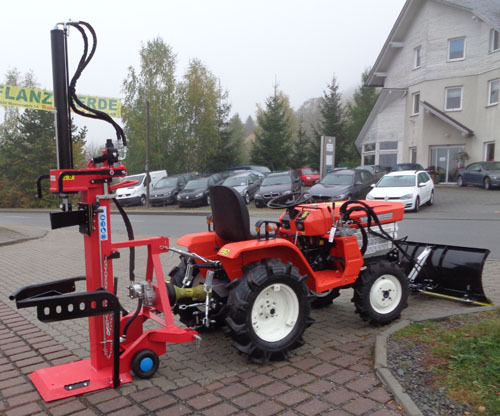 The log splitter is already filled with hydraulic oil. The PTO is not included. 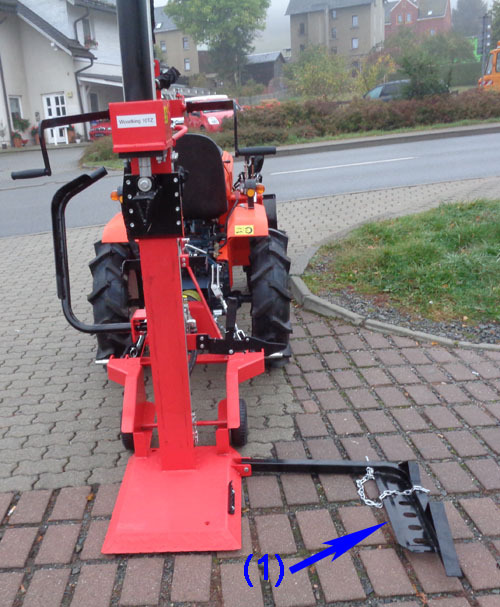 For 99,00 € we can also supply a standard PTO. The log splitter is completely powder coated. 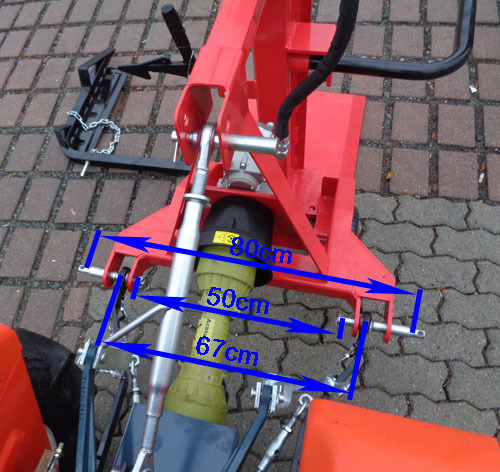 The splitting cross and the splitting table may no longer be produced according to the latest CE. The old warehouse sale is still allowed.